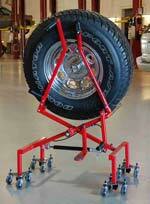 The Wheelfloat® Wheel Dolly assists with lifting to and from the vehicle, to the the tire changer, and on to the balancer shaft with virtually no effort. 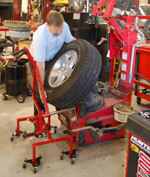 All-Steel Industrial Dolly works with aircraft, boats & trailers, lawn & garden items and more. 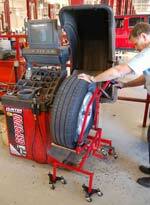 Useful for fork lifts, equipment, boats, trailers, wire spools, steel, transportation equipment, aircraft and more! Comes in singles or sets of two.